Primary productivity, the rate at which algae fix atmospheric carbon dioxide into the organic compounds of their bodies, is one of the most important characteristics of any marine environment. It governs how much food is available at the lowest levels of the food web, and how much oxygen will be consumed by the decomposition of sinking organic material. Productivity also has far-reaching consequences for the global carbon cycle, and is the mechanism through which changes in nutrient cycling could potentially affect diversity during mass extinctions. Unfortunately, productivity is extremely difficult to estimate from the rock record. 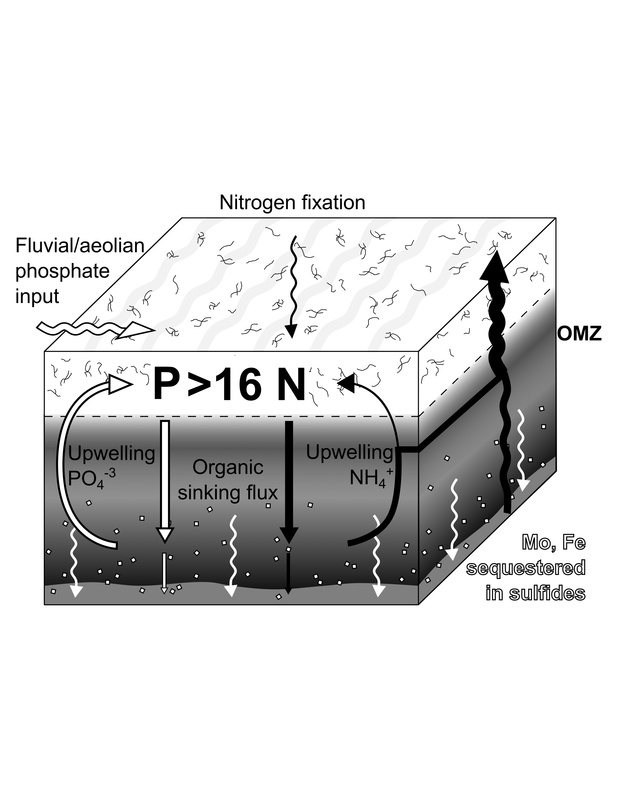 Typical proxies, including total organic carbon (TOC), phosphorus, and barium, are affected by the sedimentation rate and chemical conditions of the burial environment in addition to productivity in the surface ocean, making interpretation difficult. The extensive datasets available for the present day may be the key to understanding productivity in the past. In a study in Earth Science Reviews (PDF), my coauthors and I compared the accumulation rates of productivity proxies in 94 marine sediment cores with over 3000 measurements of primary productivity from the Oregon State ocean productivity database (LINK) as well as satellite estimates of modern productivity. 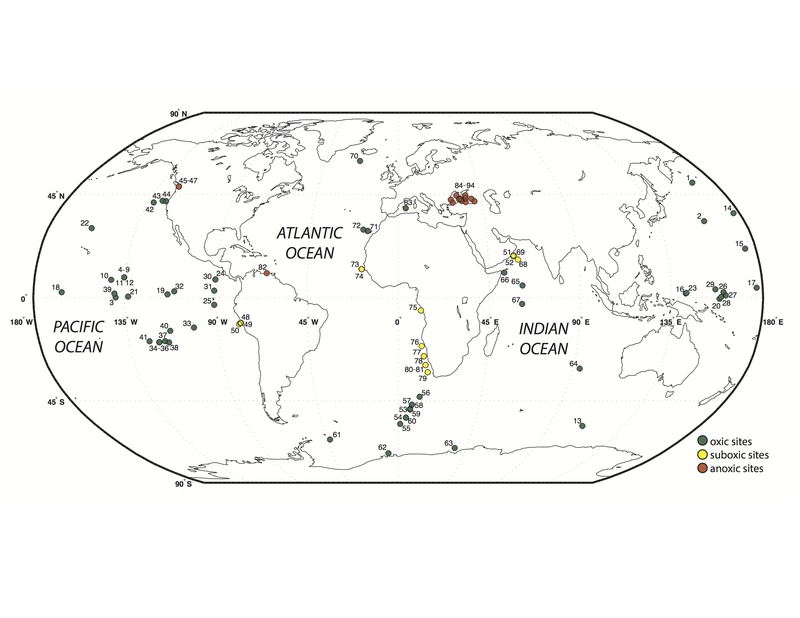 Using the relationships between measured productivity in the surface ocean and proxy accumulation in the sediments, we developed equations that can be used to estimate marine productivity from any ancient marine sediments where the accumulation rate can be estimated. Companion papers by Jun Shen (PDF) and Hengye Wei (PDF) have applied these methods to estimate changes in marine productivity across the Permian-Triassic boundary and during the early Triassic recovery. This approach has since been extended to the Triassic-Jurassic boundary at Kennecott Point, where nitrogen limitation may have preceded the end-Triassic mass extinction (PDF).